The growing need to learn about political, social, economic and military activities of other nations compelled all countries to form institutions exclusively tasked with the collection of information. In Turkey, efforts to create an intelligence organization capable of functioning in a systematic and organized manner date back to the final years of the Ottoman Empire. 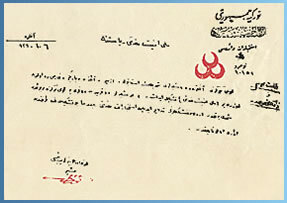 In an effort to maintain the Empire’s territorial integrity, prevent separatist activities and monitor the actions of foreign governments in the Middle East and elsewhere, the Special Organization (Teşkilat-ı Mahsusa) was established on 17 November 1913 by Enver Pasha. Having carried out military and paramilitary activities during World War I, the organization was dissolved upon the conclusion of the Armistice of Mudros on 30 October 1918. In late 1918, a new intelligence organization was formed under the name of Karakol Cemiyeti, or the Sentinel Association, and proceeded to accomplish important missions during the Turkish War of Independence such as delivering weapons to armed groups fighting the occupation forces in the Anatolian heartland and providing supplies and equipment to the National Forces. The Sentinel Association was dissolved upon the occupation of Istanbul on 16 March 1920, when all of its senior members were arrested. A number of intelligence organizations, including Zabitan and Yavuz, were formed after the Sentinel Association’s dissolution. One of the most prominent groups at the time was the Hamza Group, which was renamed the Felah Group in August 1921. The various intelligence organizations remained active until the War of Independence ended. On 18 July 1920, the Turkish General Staff created the Military Police Organization (AP or P)to conduct counter-intelligence activities, prevent enemy propaganda from affecting the military ranks and unite the various intelligence groups under a single umbrella organization. The organization was dissolved on 21 March 1921 after completing successful missions during the War of Independence. The resulting vacuum was filled by the Inspection Board Directorates that served under the Turkish General Staff across Anatolia between April 1921 and June 1922. In light of past experiences and to realize new goals, another intelligence organization called the Armed National Defense (MM) was formed by Gen. Fevzi Çakmak and officially created by the Turkish Parliament on 3 May 1921. While the Inspection Board Directorates concentrated their activities in the Anatolian heartland, MM created in Istanbul an extensive network of spies that included a large number of military and civilian officials. The group secretly delivered weapons and ammunition to Anatolia, infiltrated enemy headquarters, groups that collaborated with the enemy and foreign missions to obtain valuable information and documents. The organization was dissolved on 5 October 1923 upon the liberation of Istanbul. Until 1926, all intelligence activities were carried out by the intelligence branches of Army inspectorships. However, Mustafa Kemal Atatürk in late 1925 ordered the creation of a modern intelligence organization that could meet the same standards as its counterparts in developed nations. In January 1926, under orders from Field Marshal Gen. Fevzi Çakmak, the Republic’s first intelligence organization was formed under the name of the Directorate of the National Security Service (MEH/MAH). 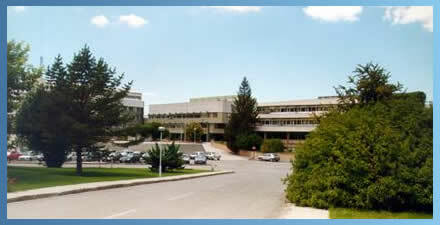 The agency officially started its work in January 1927 and reported to the Ministry of the Interior. Şükrü Ali Ogel, who served as MAH’s first director, continues to be seen by MIT officials as an important symbol. Despite undergoing certain minor changes in line with changing needs and circumstances, MAH remained in charge of Turkey’s intelligence activities until 1965. For the purpose of forming a single intelligence agency capable of collecting information on all issues relevant to Turkey’s national security policy, the Turkish Parliament on 22 July 1965 passed Law No.644, under which MAH was renamed the National Intelligence Organization (MIT). In addition to creating the Office of the Undersecretary, which would be at the very top of the MIT hierarchy, the law stipulated that MIT would report to the Office of the Prime Minister. After operating under Law No.644 for more than 18 years, MIT required a new legal framework in light of rapidly changing circumstances and new developments in the world. On 1 November 1983, the Parliament passed the State Intelligence Services and the National Intelligence Organization Act (Law No.2937). The law entered into force on 1 January 1984. With its experienced professional staff and technical experts, MIT continues to proudly serve Turkey and remain committed to the principles of pluralist democracy, the rule of law, impartiality and human rights. * The information presented on this page was compiled from the book titled “History of the National Intelligence Organization” that was published on the 75th anniversary of MIT’s establishment.